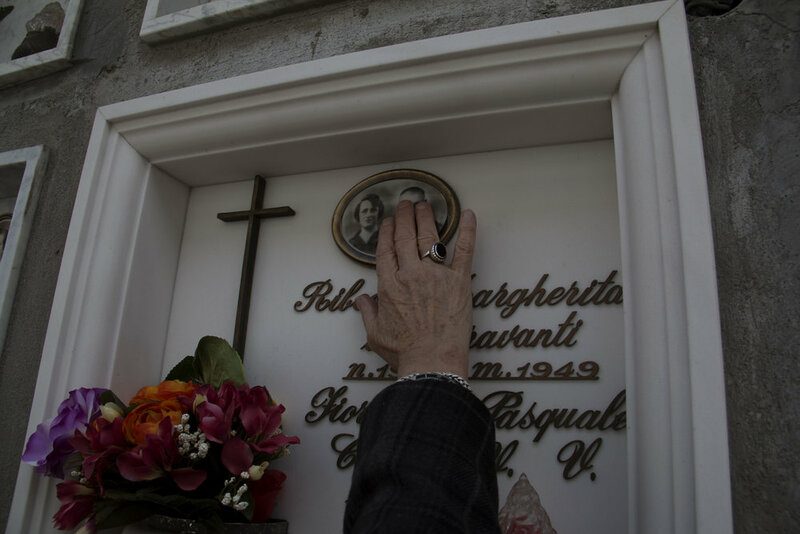 My grandparents are buried in a small town in Tuscany, under a marble square with their names on it and a picture of the two of them in a circular golden frame covered with glass. I never met them, all the memories that I have are build on histories told by my mother. It’s a story of an absence because my mom never met her mom either. While I was visiting them I have caught myself thinking about the reason why that picture is able to generate feelings in me. If I didn’t knew which grave is theirs and if I couldn’t read the names, they could be any of the faces in the cemetery. And yet is that particular picture and those black and white faces that triggers emotion and feelings. Is that particular photographic object that shaped my memory and my idea of them. 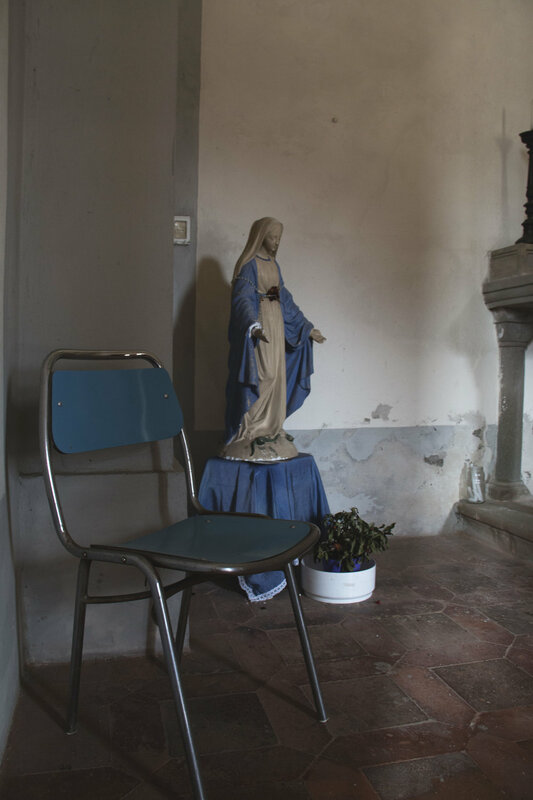 Using the picture on the grave as a starting point I have opened a conversation with my mother on her family and how she build her memory out of a single image. 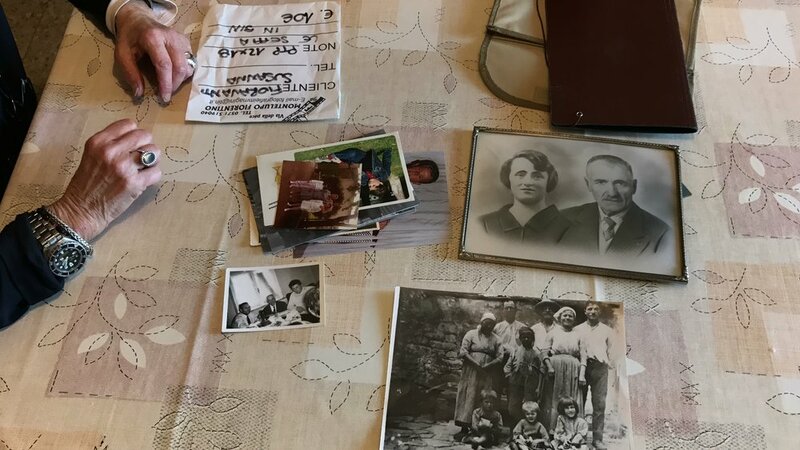 We searched in the archive of our family trying to find unknown pictures and built new memories matching the images to the stories that have been told us and investigate how the materiality of a image can shape memory.